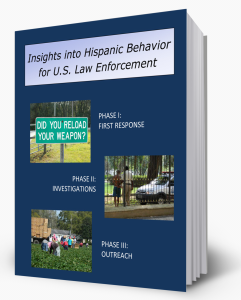 “Insights into Hispanic Behavior for U.S. Law Enforcement” is a web-based cross-cultural training program developed to meet the needs of officers serving communities with a significant Hispanic presence. The lessons and scenarios address a wide range of functions from first response, to interviews and interrogations, to community outreach. This fully automated program provides 12 in-service hours and a certificate of completion. CHECK OUT OUR LAW ENFORCEMENT ARCHIVE BELOW. You’re sure to find useful information!